This year we have a lot of developments with sport at Rosedale. We have more extra-curricular sports activities and more coaches working with us in school. We hope that the information on this page gives you a flavour of the exciting things happening with sport at Rosedale. The documents below outline the PE National Curriculum objectives and a map of how we organise the teaching of PE at Rosedale. We are working with lots of different providers to enhance our sports provision. The document below will provide you with more information on each of these providers and what they are doing this year. The leaflet below will provide you with more information about teaching PE. 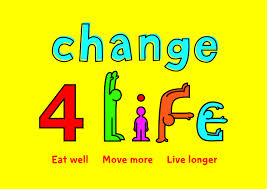 Click below to visit the Change for Life website for lots of tips about keeping healthy.